Catch The Fire Music - "Presence"
Catch The Fire Music is a ministry of Catch The Fire World, existing to export our unique and authentic expressions of worship through songs that lead people to an encounter with God. 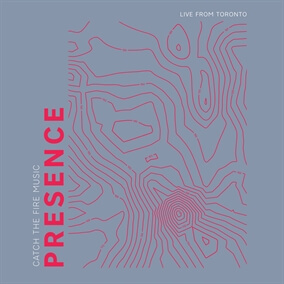 Presence is the new live album from Catch The Fire Music, featuring six songs including "Upper Room," "What a Father," and "Jesus Only You," to name a few. Original Master MultiTracks, Charts, and other worship-leading resources for Presence are now available.